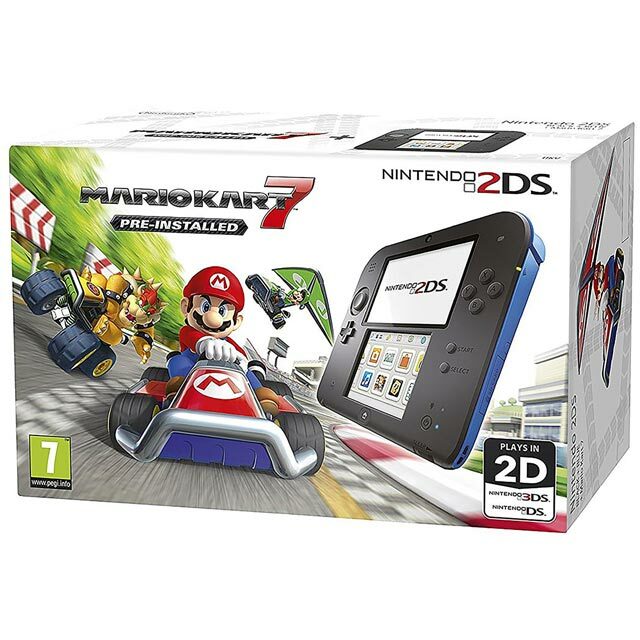 This sturdy black and blue Nintendo 2DS is a great little gaming system, offering tonnes of entertainment whether you’re off on a road trip or curled up at home on a rainy afternoon. The dual-screen handheld system can play every 3DS title, as well as a huge catalogue of older DS games, so there’s plenty to please puzzle and adventure fans alike. The bottom touchscreen offers intuitive and interesting ways to play, as well as making it easier to move through menus. Plus, you can jump online to play with friends thanks to WiFi connectivity, with an 8 hour battery life giving you heaps of fun before needing to plug in. 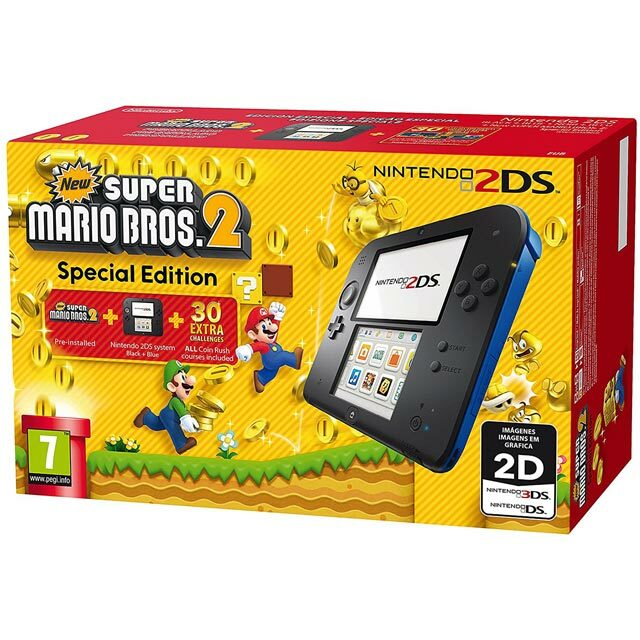 This bundle includes a pre-installed copy of new Super Mario Bros. 2. Help Mario defeat Bowser and his minions by completing over 80 courses in nine unique worlds, jam-packed with secrets to discover. StreetPass makes your gaming a little more social, and awards you for taking your system out and about. If you’ve got it turned on, your system will exchange data with other users you pass by in the street or on the bus. As a result, you will unlock features and content across a wide selection of games, including several that are built into the system itself, extending your gameplay or finally giving you that must-have item. Very happy with the purchase of this console. It looks good and was easy to set up.